An application can refer to either the form or process of application. 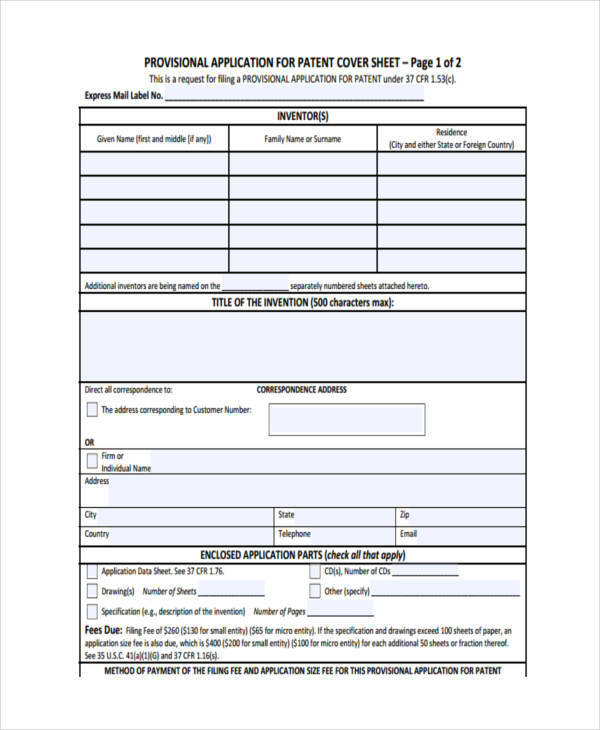 An application form typically contains the basic information about the applicant, such as name, address, contact information, and other important information which might be needed by the admission committee. An individual can apply for different things. A patent application, which we’ll talk about in this article, is one of such applications. 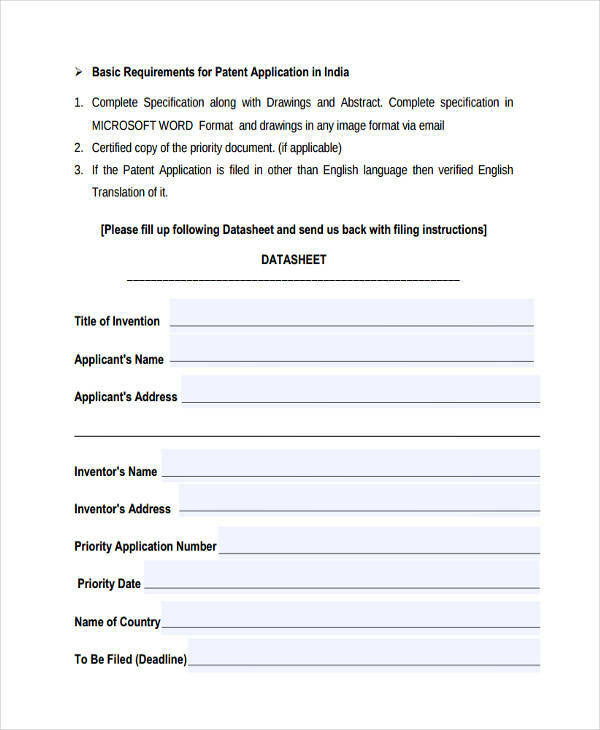 In this source, you will find a few patent application examples, as well as guidelines in writing a patent application. A patent, in the simplest sense is a license granting an individual the sole right to an invention, idea, or discovery. 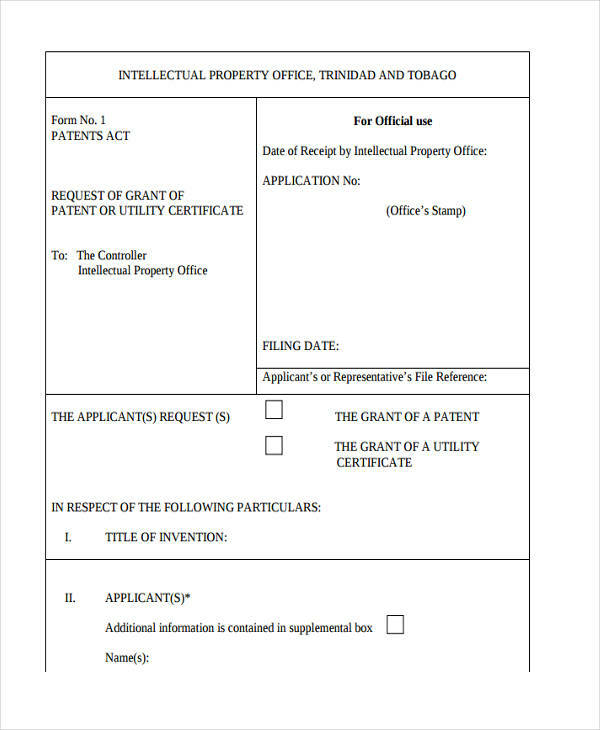 If an individual has patented an invention, other individuals are not allowed to make, use, sell, or own such invention, idea, or discover (that is, unless the inventor gives such individuals permission to do so). 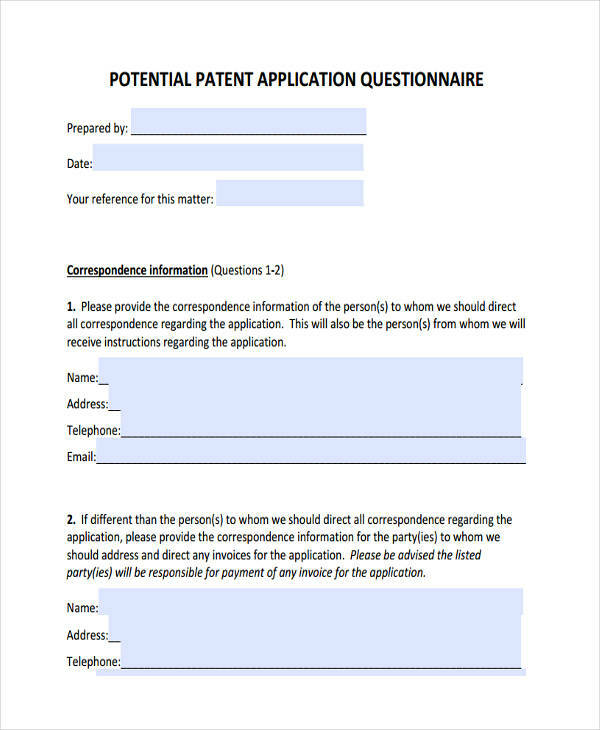 A patent sample application is a request submitted to a patent office which contain’s the inventor’s request for his/her invention to be patented. For example, an individual (usually a person majoring in the sciences) discovers a new species of an animal, he/she may request the discovery to be patented in order to be recognized as the sole owner of such discovery. There are many reasons as to why a patent application is denied. One common reason for rejection is when another discovery has been patented by another person beforehand. This is why researching existing patents—and timing—are important for successful patents. Patenting an invention, or discovery can really get tricky, and later on, messy especially if your patent application gets denied for any reason. 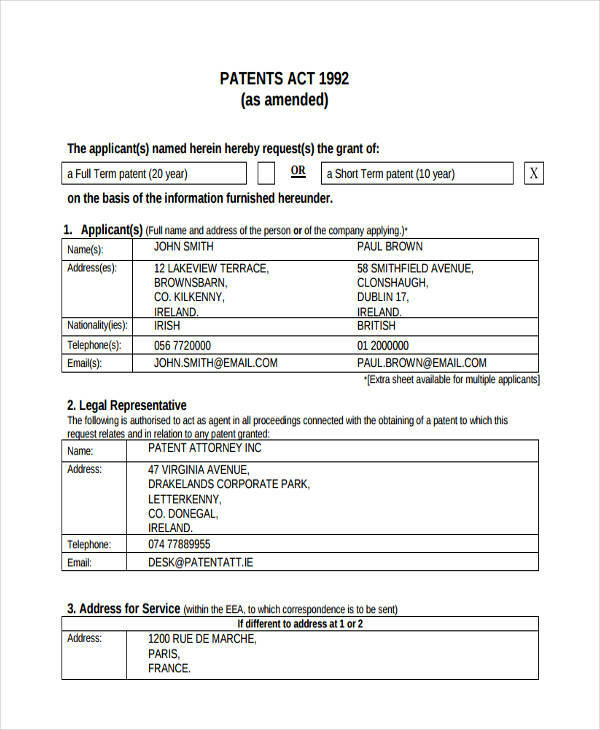 Depending on the geographical area you belong, there might be several rules or guidelines regarding patent applications which you need to follow. Assign a title or name for your invention (or discovery). Provide a few statements regarding the background of your invention or the field it belongs to. Give a detailed description of your invention. Write the description of your invention (or discovery) in a manner that can be easily understood. Explain the technical terms clearly. Write in a clear and precise format. 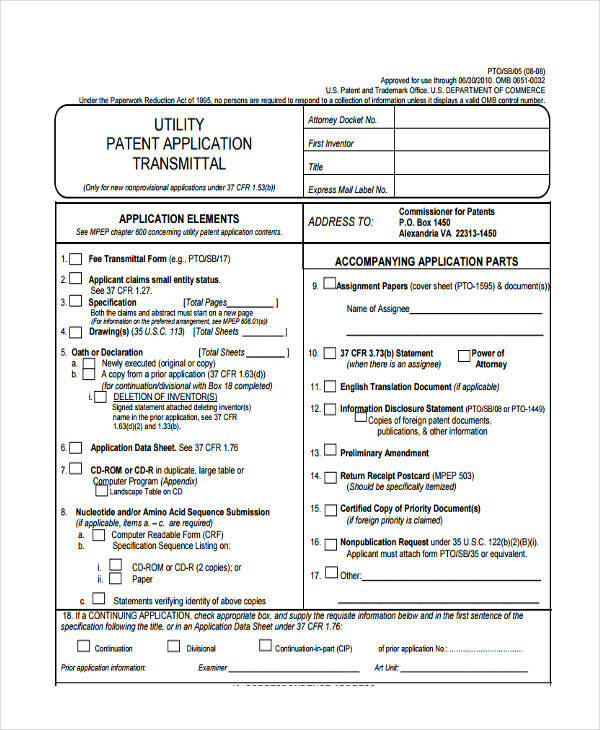 Different patent offices prefer different format of patent applications. Others may also be meticulous about the smallest details, such as margins, paper quality and size, among others. 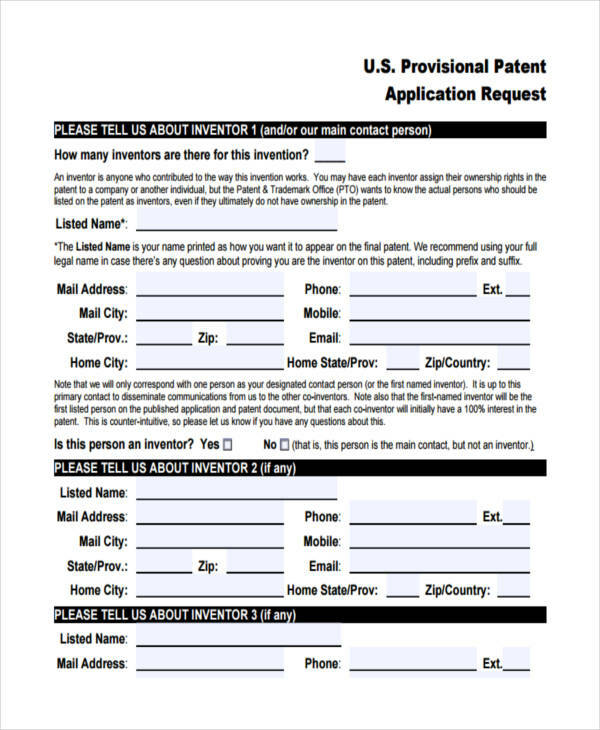 Abide by the rules of the patent office you are currently applying your patent to. Attach a few drawings to prove your claims. In most cases, people prefer drawings which are not colored in order to clearly emphasize the details (e.g. lines, marks, etc). Indicate specifics. For an invention, for example application , one needs to indicate the size, length, width, function, and other specifics regarding the invention. Assign numbers to each figure (diagrams, illustrations, pictures) and each part of the figure. This is for easy identification and description of each figure and part. Indicate how your invention is unique to other inventions. Provide instructions on how to use the invention. You may also include a description as to how your invention can be useful in the society as a whole (as any good invention should be).